These vintage chairs were designed by Antonín Šuman for the Czechoslovak furniture manufacturer "TATRA Nabytek". 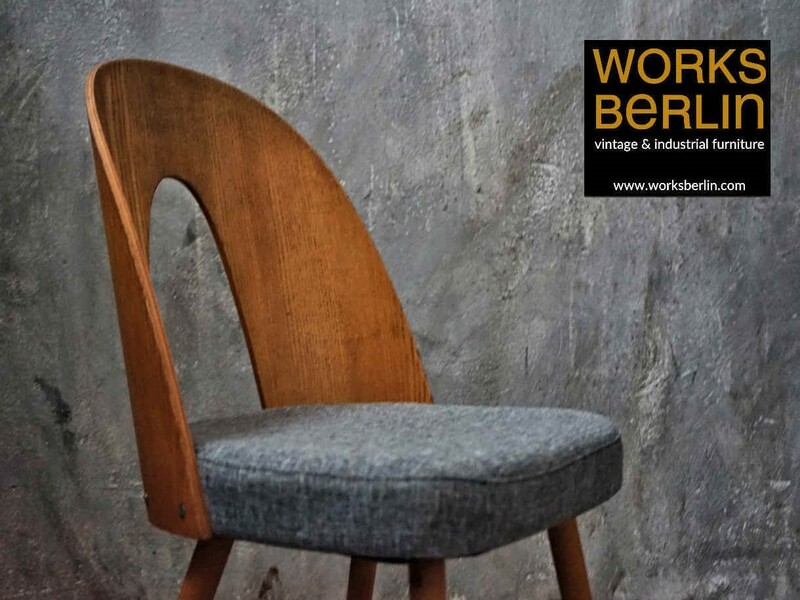 They are real classics of Czech furniture design. Due to their filigree and yet very stable construction, they fit in all rooms and can be combined with almost all furnishing styles. We carefully worked up these TATRA chairs by Antonín Šuman,: the wooden surfaces were brushed with a very fine paper and oiled. The upholstery is new, incl. matching seat foam and fabric. In terms of upholstery, we chose for a universally applicable color and fabric combination - gray and a slightly coarser fabric.